Manufacturing AND Trading of Office Chairs. 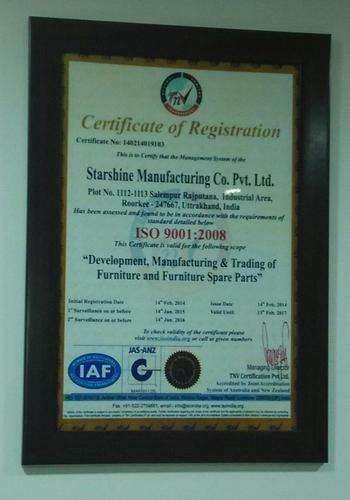 Founded in the year of 1973, we "Starshine Mfg. Co. Private Limited" are a trusted and eminent organization dedicatedly engrossed in manufacturing and supplying a vast assortment of Office Chairs. In our broad assortment of products we are offering Executive Chairs, Director's Chairs and Staff Chairs. All the provided products are designed and manufactured in full compliance with the internationally recognized BIFMA Standards. We are regularly expanding our range of products that are in tandem with the best of international standards and guidelines. We are offering all our products in various specifications to suit the assorted needs of our valuable clients. We have more than 50 years of experience in this domain. Our offered products are highly demanded and appreciated by various industries for their optimum quality, longs lasting shine, excellent finish and sturdy construction. Provided chairs are highly admired by various industries such as corporate, residential, restaurant, library and school & college offices. We are manufacturing these products with the help of innovative tools and technology at our ultra-modern infrastructure facility. With the valuable assistance of our mentor Mr. Furkan Sayyed is a talented and well qualified person with rich industry experience and depth knowledge of this realm. Banking to his inspiring leadership abilities and far-sightedness we are able to establish a strong foothold across the market. We are a renowned organization engaged in manufacturing and supplying a qualitative assortment of Office Chairs. These products are designed by our experts keeping in mind the prevailing market trends. Latest technology and optimum quality raw material is being used in the manufacturing process of these products. The assortment is renowned for its durability, sturdy construction, attractive designs, corrosion-resistance, long-lasting performance and high tensile strength. These products are offered in a wide variety of designs, sizes and styles in order to serve the diverse requirements of the clients. 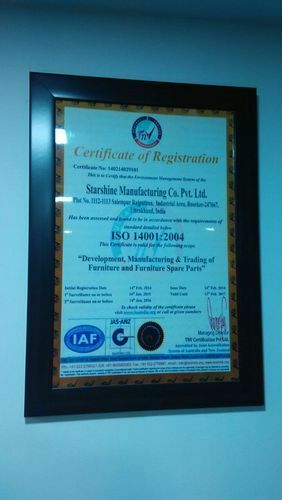 We are ISO certified company. We are a leading manufacturer and supplier of a sophisticated range of Office Chairs. Considering the heterogeneous demands of the clients, we offer these products in myriad of styles, designs, colors, finishes and patterns. Our sound infrastructure and skilled workforce allow us to offer products to the clients as per their specific requirements. The products can be customized according to the specifications detailed by the clients. Professionals present in our structure ensure that the products are being customized without hindering their quality. 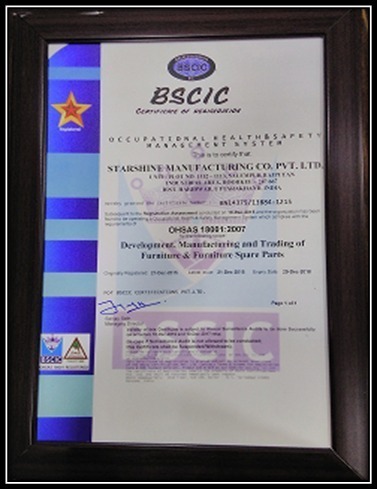 We are ISO 14001:2004 certified company. In our team of highly qualified professionals, we have both experienced and dynamic individuals to handle our business operations. Our employees have enabled us in consistently offering best quality office chairs. Our professionals work with each other as a complete unit and ensure that each of the specifications given by the clients is aptly incorporated in the product provided. With the aid of our qualified and experienced professionals we have been able to hold a commendable position across the industry by our most dedicated and hard-working efforts. We are counted one of the best resources for our valued customers owing to our best quality approved chair range. We are delivering our provided furniture safely and timely at the client premises with the help of our well connected distribution support. We are offering our products at leading rates.